Whether it's to challenge a Racing President or to take a few swings in the batting cages where the players warm up, Washington Nationals fans have a lot to do this weekend. See photos of Nationals Park ahead of this year's Winterfest. 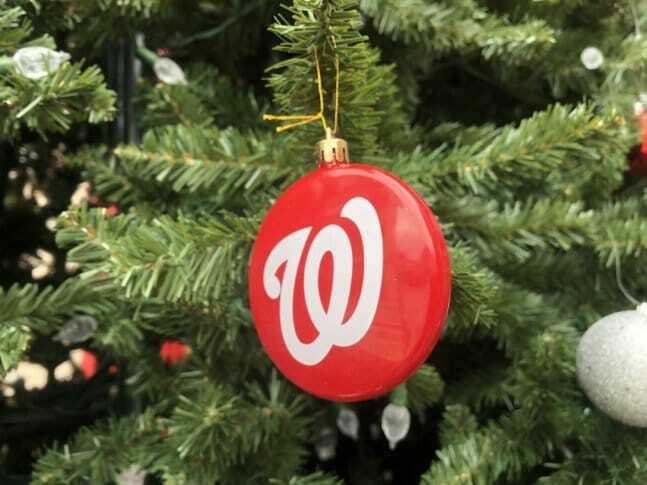 WASHINGTON — Whether it’s to challenge a Racing President or to take a few swings in the batting cages where the players warm up, Washington Nationals fans have a lot to do this weekend. Nationals Winterfest takes over Nationals Park for the first time since 2011. The event, which is a wintertime tradition in D.C., spent the last six years at the Walter E. Washington Convention Center before being moved back to the ballpark this year. Shane said bringing it home will allow the team to give fans access to areas that are off limits to everyone except players and staff during the season. Fans will be allowed to go onto the field, throw in the bullpen and even hit in the players’ batting cages. And, besides handing out autographs and posing for pictures, Shane said players will also be taking part in the many activities. “They’re going to be playing with the families and the kids who are out here,” Shane said. For fans looking to see how they would stack up against George, Tom, Abe and Teddy, they’ll get a chance to race the Racing Presidents. New to the event this year, fans will also be able to try their hands at curling. And, there will be clubhouse tours during the two-day event. Also attending are the team’s general manager, Mike Rizzo, and manager Dave Martinez. “It’s very exciting, especially for me, you get to see some of the older fans and meet some of the younger, new fans,” Martinez said. Ballpark fare fans expect will be offered, but Shane said some holiday favorites will also be served. “We’re going to have the giant turkey leg, we’re going to have what they are calling the ‘Thanksgiving leftover sandwich,’ which is the turkey, and the stuffing, and the cranberry, all on a homemade roll,” Shane said. There will also be traditional hot chocolate and a special adult hot chocolate for grown-ups. Also available for the first time is apparel with the team logo for the 2019 season that includes a throwback “W” with the U.S. Capitol as its backdrop. Shane said the event will go on rain or shine, but for fans who already purchased tickets for Saturday and don’t want to brave the rain in the forecast, those tickets will be honored on Sunday. The event takes place Saturday and Sunday from 11:30 a.m. to 4 p.m. Tickets are available on the Nats’ website.